The brilliant Jolly Phonics makers show you simple grammar in lovely phonics-based activities that appeal to all your senses. Jolly Phonics may be 25 years old, but it’s still one of the most popular reading series around. Now say hello to Jolly Grammar: a fun approach to grammar based on lots of actions and play. 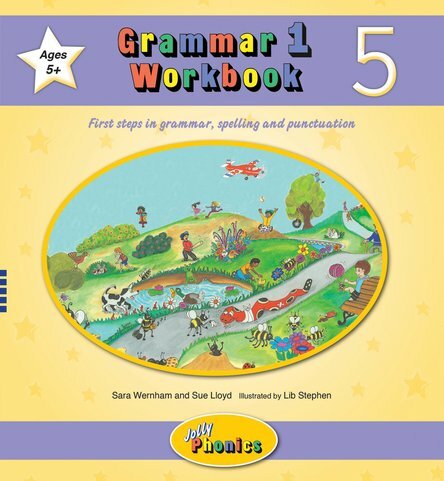 This workbook is packed with fun grammar activities that reflect the Year 1 curriculum for school. There’s a handy checklist to keep track of your learning, and you’ll also revise key phonics skills you know already.